Hey Foodies, after many experiments, for this Diwali Festival I’m sharing a perfect recipe to make Chocolate Nankhatai at home. I’ve already shared Basic Nankhatai & Wheat Flour Nankhatai (without oven) Recipes. 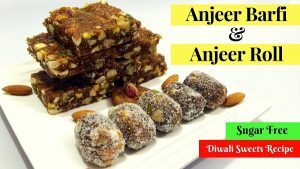 This Diwali, try this unique Chocolate Flavoured Nankhatai made with easily available ingredients & surprise your guests. Add All-purpose flour, Semolina, Cocoa Powder & Salt in a large mixing bowl. Take another mixing bowl, add Clarified Butter and Powder Sugar. Beat for 5 minutes using a hand blender on high speed. When the mixture is fluffy, add Vanilla Extract and churn again. Now add the All-purpose flour mixture in small quantity at one time and beat using a hand blender. Gently gather the mixture with hand to prepare the dough for Chocolate Nankhatai. Take some dough in your hand, roll them evenly in your palms and slightly flatten them and place on baking tray. Pre-heat microwave on convection mode at 180-degree Celsius. Garnish Nankhatai balls with Cashew before baking. Bake on convection mode at 180 degree Celsius for 18 – 20 minutes. Remove from microwave and place on cooling rack and let it cool down to room temperature. Store in airtight container and consume within 15 days. 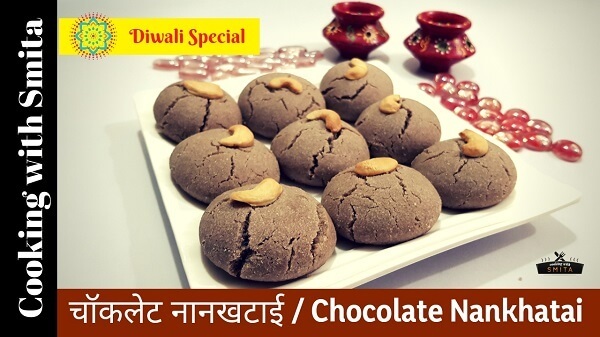 Watch Chocolate Nankhatai Video Recipe in Hindi.